Online books to inspire & motivate! 169 jam-packed pages of the latest jewellery selling secrets. 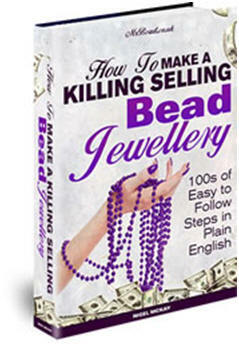 Everything you ever wanted to know profiting from handcrafted beaded jewellery - including how to source at the lowest prices. For the UK in British English version click here, for the US version here.